Honestly when a bride says she wants pictures at one of the many ‘status quo’ places like the art museum or the botanical gardens, these are great places for picture but they are a bit over done. I may suggest some place a little off beat if the couple seems open to it. The grain silos or the General Mills plant I think would be a great back drop or the beach if you are a little more conservative. You get a mix of the old with the new. The old being the grain silos and the new is you, the newly wed couple. Don’t be afraid. Be adventurous. In the long run I think you will be please. Canal side is a fantastic place for pictures. 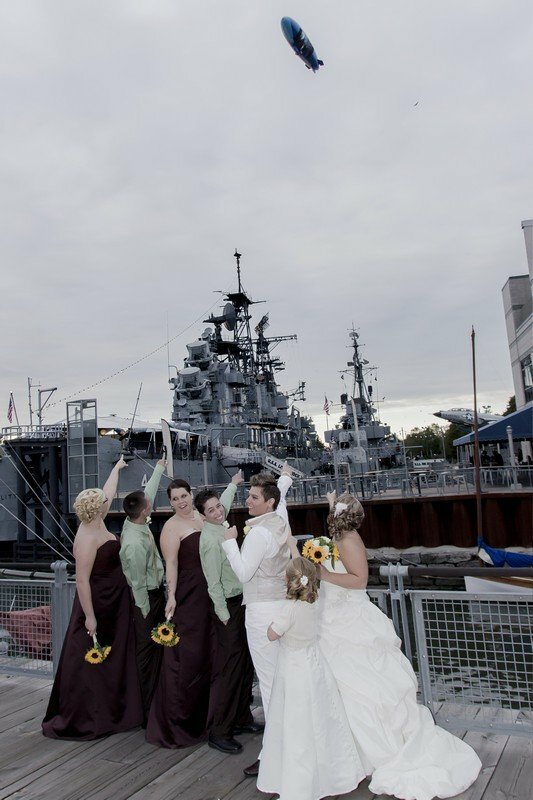 There is all of these little areas where you can get fabulous and memorable pictures taken. There has been so much work done in canal side that around every corner there is a new experience. It is not a repeat of the same old stuff over and over again. How about pictures on the ferry that goes between the inner and outer harbor? Or pictures at the old light house?